“I’ve recently been diagnosed with various food allergies and intolerance’s. During my research I found your website and I’d just like to say what a relief it is to meet other people who have a similar situation as myself. The foods I am highly intolerant to include: yeast, wheat, all dairy products (including egg), sugar, all alcohol and all E numbers, to name but a few. I also have environmental allergens including: all pollens, pollutants, sodium lauryl sulphate, to name but a few. I was diagnosed this Saturday just gone, using an unusual method of testing (see: http://www.allergytest-london.co.uk/). It seems very over-whelming as it’s both food and environmental allergens which I need to avoid. Being at university it is going to be a huge change on my lifestyle. I was interested if you had any recipes which were quick – aka on the go so to speak? Also do you have any more information on Candida as I read on your website that you thought that you had that condition? Finally, I’m going to Tenerife on a fieldtrip mid-June, I’ve read your article about travelling abroad and it was very interesting. I just wanted to know what foods can you take abroad? and if you have been to either Tenerife or Spain, did you find any supermarkets which catered for your needs? So from a foodie point of view your challenge is to avoid dairy, eggs, yeast, wheat and sugar (inc alcohol). I have very similar food intolerance’s to you – dairy, eggs, yeast, gluten, sugar, some oily fish and cashew nuts – so I understand the challenges you face. Coeliac, therefore wheat free but you might find you have dairy in the meal. With the airline meals I normally plump for vegan and then wing it a little as the coeliac options are often loaded with sugar and egg. Alternately, just go for the normal and see what there is available as there is normally a potato and vegetable option, however be careful as there might be a few things added that you don’t know about, so always pack a few snacks in your hand luggage just in case. The best solution is to eat before you get on the plane – Pret A Manage have stores in a few airports now and they have a few salad options that are great, including the No Salad Dressing and other tasty alternatives. I am a bit of a 100% er when it comes to my food intolerances, so plan ahead with lots of snacks e.g nuts and oat cakes, and take every opportunity to eat as food I can eat is not always on the menu. Also most of the time we travel self catering – as the need to have variety and cook for yourself when on a restricted diet comes apparent after a few days. 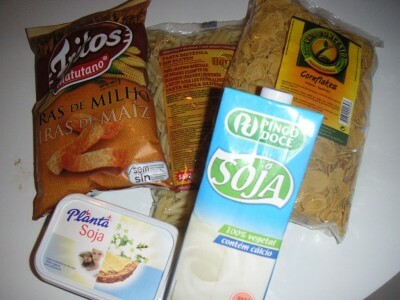 The great news is Spain especially has loads of options and I have been to both Spain and Maderia recently and found a huge variety of products e.g soya milk, Gluten Free Pasta etc – enough options to keep me going. One good thing to pack is your cereal and a carton of soya long life milk (in your checked in bag) just in case, but most European countries I have been to have soya milk you just need to find a big supermarket. Spanish food is very tomato and potato based and they tend to cook with olive oil and not butter which makes things a little easier. In summary – pack lots of snacks and eat when you can – and also take a list of food words e.g Dairy Free, Wheat Free, Yeast Free, No added sugar etc – this is really important if eating out and sometimes the only way to know if something is OK for you is to ask. I love cooking and previously had a pretty healthy diet which has always made things a little easier for me moving to a Free From way of life. The real challenge with this change of lifestyle is to see it as a positive and really embrace it, the negativaty that might come will only make the process harder. Keep checking to see if what you are doing is working for you – this isn’t an exact science and over and above everything its important to keep a balanced and healthy diet. Keep it simple and health – lots of spices and herbs for added flavour. Jacket potato – I have a new love for potatoes, after avoiding them for years, I have come to love them. So simple pop them in the oven and an hour or so later crispy heaven – dollop of Dairy Free Spread, Tomato Pesto and some salad – delicious. Summer salads got to love them – get in some frozen prawns – much cheaper frozen and fast to defrost for a quick meal – prawn salad with avocado is fantastic – and really filling too. Stews loaded with beans – Pick a weekend and cook a few stews – great for re heating and simple to make. I am into Moroccan stews at the moment – next time I make one I will post a recipe for you to try. Corn Wraps – Not a recipe but you can make lots with them – fellow Fussy Foodie Claire’s favourite – always takes a packet when away from home. Fish Fish Fish – you gotta love fish – some fresh fish – squeeze of lemon with a few herbies under the grill – done. Load up with some salad or veggies and potatoes. Platter- plate of your favourites things – houmous, guacamole, oat cakes, Corn Thins, carrot / pepper/ cucumber sticks for dipping, maybe some ham (check for added extras), few mixed seeds – delicious. Sophie I hope this give you some ideas – let us know how you get on with your Newly Diagnosed Food Intolerances. Rick Stein Far Eastern Odyssey Buy Agave Nectar? thanks for your reply. It given me a lot more confidence travelling now. I’m currently into my sixth week in the elimination diet. At first I resented the fact that my diet was restricted so I had a negative mind-set in the beginning. However, as the weeks have passed my perception has changed and I’m actually enjoying it! Almost all of my symptoms have gone. I have IBS (Irritable Bowel Syndrome) which is a chronic dysfunction of the gut and colon. Normally I have IBS-C (constipation) with rare flare ups of IBS-D (diarrhoea). The new diet has gotten rid of most of my symtpoms: chronic abdominal pain, spasms, fatigue, nausea, exczma to name but a few. The fact that my symptoms have nearly gone has given me extra motivation to continue. I craved sugar and carbs, now I get the odd day when they come back but I’m determined not to give into them! I have also have had stress management lessons, had a few sessions of cognitive hypnotherapy and counselling to help me cope with my anxiety and stress. I did get depressed about my situation for a while – who wouldn’t. But I’m getting through it. Thanks for all your links, I also made your yeast free bread recipie and it was fabulous! I’ve managed to find some bread in my local health food store which is free from bakers yeast and so is suitable to those who are intolerant to yeast, wheat, gluten, sugar and dairy. Keep up the fantastic blog, I get re-tested at the beginning of august, so hopefully by then I should know if I can re-introduce foods into my diet. I have also recently been diagnosed with a cows milk, egg white and yeast intolerance and at first I was pretty devastated as I am a huge foodie but after looking at some very helpful websites I have found some good recipes that I think I can incorporate into my every day life. I am 34, lead a healthy active life exercising 4 times a week, and am not overweight. I have an underactive thyroid and although I am on the right dosage I am always tired. I have been to the doctors about this so many times that I have lost count over the past 5 or so years and they say there is nothing wrong with me. Totally frustrated I decided to take things into my own hands and got allergy testing done through the pin prick test (Ig test I think it’s called). The trouble is, although this has came up positive I am still in a little doubt which is probably down to the amount of foods that I need to cut out give my yeast allergy alone. What advise can you give me so that I am armed so to speak when I go to my doctor? My surgery is has very traditional doctors so are not convinced that allergy testing is accurate. I think it would be beneficial to have my doctor recognize that I have an allergy and would like them to refer me to an allergist and then possibly a dietitian to see if they can offer further support/clarity on my allergy. I have read that if you have a yeast allergy it may be likely that you have a yeast infection (one that may not be visible i.e. your digestive tract) I also have IBS and Asthma which I know can also be improved by cutting out yeast. It would also be good to find out what in the cow’s milk caused my allergy so if it’s just lactose then I can omit this from my diet, can this be identified? I appreciate your advice and have found your website very informative and encouraging. I have not started my ‘diet’ yet as I want to be well prepared first with the foods I can eat so that I manage to sustain it. Hi. Thanks for such an informative site! My son just took the Carroll Food Intolerance test and it came back as Fruit Intolerance with a combination grain/potato intolerance.He is 5 yrs old and presented with chronic respiratory inflammation and loose stools since he was a babe. Western MDs just wanted to keep him on drugs to mask symptoms and keep it from progressing in to asthma, which I bought into for a while since we were overwhelmed, but in our hearts we knew there was a food issue. He can eat melon, but doesn’t really like it. 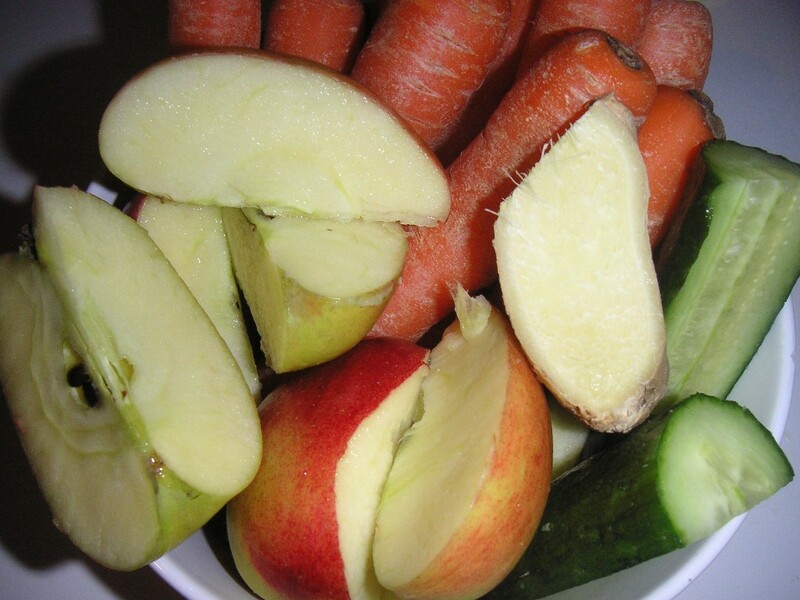 He cannot eat any other whole fruit, nor any type of fruit acid or preservative, avocado, olive oil, nor cashew. Potato and grain can be consumed but only 4 hrs apart. I would love to connect with anyone who has this same combined intolerance to share experiences and food prep and avoidance strategies. Thank you! I have just been diagnosed with yeast, gluten, dairy, cashew, wheat intolerances following months of feeling unwell and continuos stomach problems. I am finding it all a bit bewildering at the moment as, to add to the problem, I am a vegetarian and Type 1 diabetic. But I will do whatever I have to in order to feel better. At the moment I am trying my first home baked loaf from a recipe I found on this site (hope it is OK!). Went to Asda and they had a good ‘free from’ section but I’m a bit lost as to how to balance my blood glucose and the intolerances as it seems all the carbohydrate foods I used to rely on are not good for me now. Hey Sophie the list of foods that you are intolerant to are foods to be avoided anyway as they poison the body. So nothing to get depressed about. Karen, watermelon and cantaloupe are only mildly acidizing which might explain your sons ease of eating. Have you tried giving him fresh coconut flesh and water? Should avoid potatoes as they are simple carbs ie sugar but sweet potatoes are medium GI so can be eaten in moderation. Focus on giving your son bell peppers, cucumbers and tomatoes along with green leaves if possible. I find making ‘food faces’ a great way to get my daughter into what she ‘will’ eat. You should try introducing buckwheat, quinoa and whole lentils into your diet. I always soak lentils for 12+hrs before cooking. Also look into sprouting seeds and beans for that ‘beanstalk magic’ you don’t find elsewhere. Oh and another top tip, especially for eczema is to drink alkalising salts twice a day in 500ml water. Miranda you need a medal. This is such a fantastic place for people like us. I have been diagnosed as intolerant to wheat, dairy, yeasts, bisulphites,pork and plums. I suffer nausea, pains in stomach and itch. I am having a really hard time with missing carbs and I am trying to get used to rice cakes etc but it is just not like bread so– I plan to bake your bread recipe and I will let you know how it turns out. Thank you for the lovely comment. Sorry my belated reply I need to find more time for Fussy Foodie! Hi there I was wondering if anyone knows where I could get the Carroll food intolerance test done in UK. My son has multiple food intolerances and I would like to get him tested.